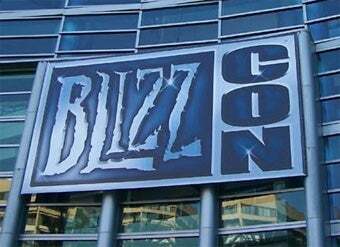 Blizzard's first batch of tickets to BlizzCon 2010 sold out quickly yesterday. As expected, a nice chunk of them are now available on eBay for more than double the price. Now how much would you pay? BlizzCon tickets went on sale yesterday at 7 PM Pacific, and sold out moments later, which should come as no surprise to anyone who has attempted to buy BlizzCon tickets over the past several years. It's inevitable, like the flood of BlizzCon 2010 tickets hitting eBay moments after the sale ended. As of this writing there are 148 listings for BlizzCon 2010 tickets on the world's largest auction site, covering both single tickets and pairs. The asking price seems to be averaging between two to two-and-a-half times Blizzard's price of $150, or $300 to $375 per ticket. A quick search of completed listings shows one pair of tickets going for $895, or $448 per ticket, while one single ticket sold for $495 by itself. Pretty ridiculous, right? And this is only the beginning. Blizzard has another batch of BlizzCon 2010 tickets going up for sale Saturday morning at 10 AM Pacific time. Once those tickets sell out, expect eBay prices to skyrocket. People who purchase tickets through Blizzard has until June 20 to change the name and information on the tickets, so if you need to resort to eBay, best to get it over with quickly, before you're stuck with some scalper's name on your badge.